Many years ago during one of our trips to Acapulco, my husband purchased for me a ring there. The stone is quite large, (no idea of the weight). A local stone cutter was selling them at his tiny place of work, and another man there was cutting right under my eyes (I was lucky to know one of them well, I speak Spanish). It is cut in a pear shape; it is clear and more toward the green than the yellow. It is mounted on silver of course from that region. It was not a tourists’ catch, the price was very little like $50.00...many years ago. I was told it was a Hiddenite Gem. I still have no knowledge except the name of the person who discovered these gems in North Carolina, but I was told that they are in Brazil also. Does it have any value? It is not for sale, I just want to know, I would like to give it to my granddaughter. Hiddenite has been found in few places around the globe, but Brazil is one area where hiddenite gems have been discovered. The gem, if it is indeed a hiddenite, would definitely have some type of value – though how much it is difficult to say without knowing the carat size of the gem and the clarity, color or cut ratings. Darker shades of hiddenite gems are valued more highly than the lighter green shades, and hiddenite with strong yellow tones are usually priced the lowest. A custom cut pear shape hiddenite though, would definitely be worth much more than a machine cut gem. If the gemstone is over one carat in size, the value could possibly be upwards of $1,000 dollars or more, but again – it would all depend on the gem’s carat, clarity, color and cut characteristics. What is priceless though is the story that goes with your beautiful ring! 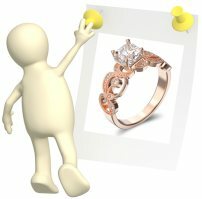 Definitely take the time to write down your story, and if possible the name of the stone cutter, so you can give your granddaughter the gift of your ring and the ring’s history. If you would like a conclusive value estimate on your hiddenite ring, check with a local certified gemologist (I highly recommend using the services of a certified American Gem Society gemologist) who offers insurance appraisals on gemstones and gemstone jewelry. Thanks for sending in your lovely story – and if you have any other questions do contact us again! Click here to return to Hiddenite Gems. My daughter was digging in Alexander County, NC. She found a couple of rocks that look like Hiddenite or Green Beryl. How do we find someone to tell us what we really have found? I would highly recommend taking the rocks to a gemologist who is certified by the American Gem Society (AGS). The AGS is a highly respected gemological laboratory and educational institution, and gemologists/jewelers certified by the AGS must pass rigorous training. If you click on this link: American Gem Society: Find a Jeweler you can find a jeweler in your area. 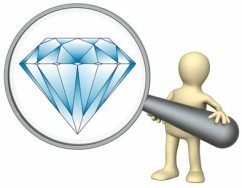 I used the tool to check for AGS certified jewelers in North Carolina and over 40 of them are listed in almost a dozen cities and towns. Once you have a list of certified jewelers in your area, call them to confirm that they have the tools to assess hiddenite, green beryl and emerald gemstones. Then, schedule an appointment to have the rocks examined. The process itself of examining rocks to determine if they are hiddenite, green beryl or emerald is pretty simple (for experienced gemologists!). Gemologists use an optical tool called a Chelsea filter to examine the optical wavelengths and fluorescence of the rocks; characteristics which are unique for gemstones. The rocks will also be examined to determine their clarity and crystalline structure. Hope this information helps, and good luck with your search!